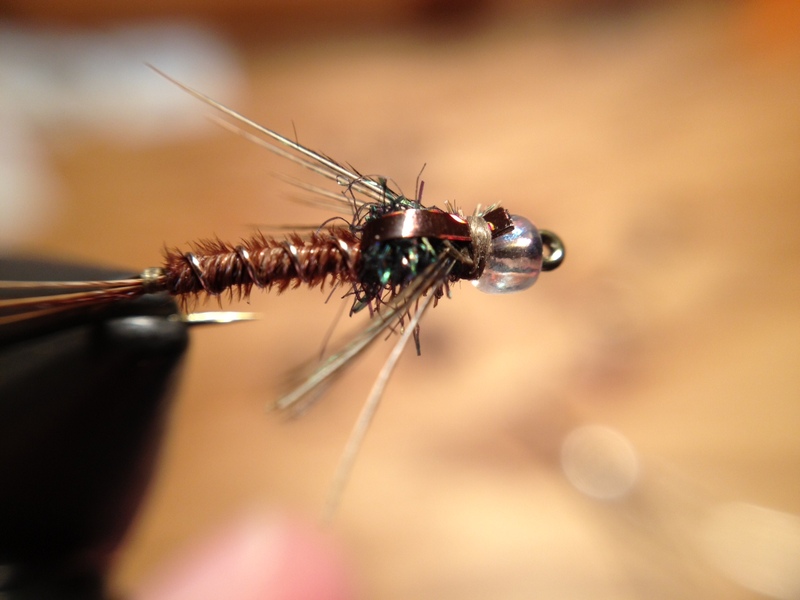 This is my shot at a Soft Hackle Pheasant Tail Nymph – with a shiny, glass bead. I tied a little over a half dozen in my downtime Monday, and they’ll fish, but they’re not great. Since I didn’t have any partridge hackle handy I just used pheasant fibers as hackle and tied it on both sides of the head, just behind the bead. 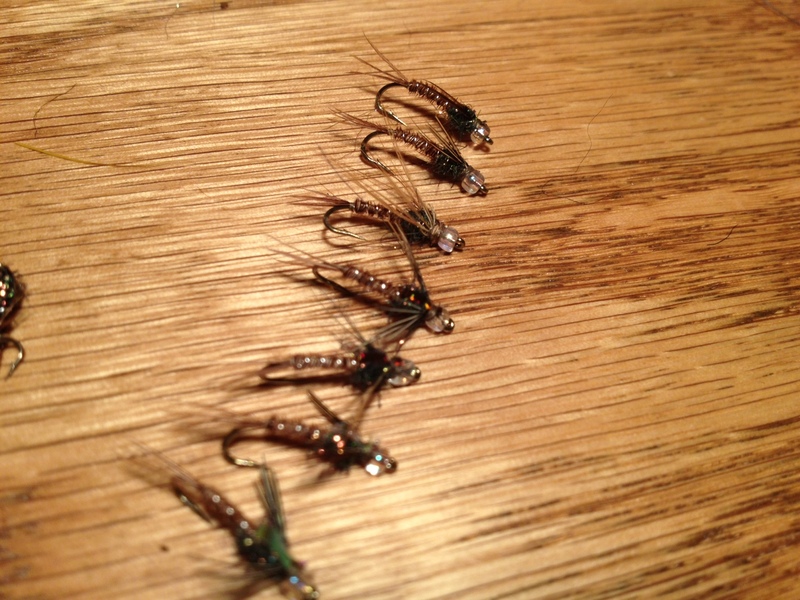 I’m looking forward to tying these with a more appropriate wet fly hackle, namely partridge, but for now this’ll do for a fish-able fly. 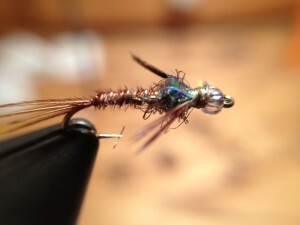 Wingcase: Flashback or Flashabou or just something Flashy-flatty-ish, c’mon man! This entry was posted in flies, fly tying on January 15, 2013 by Randy.